Citation: C N Trueman "Christian Wirth"
Christian Wirth, first commander of the Belzec death camp, was born in November 1885 and trained as a joiner and then a police officer. Wirth served in World War One on the Western Front where he was decorated for bravery. After the war, he returned to the building trade before, once again, joining the police. Wirth gained a reputation for brutal efficiency and complete dedication to duty. At the end of 1939, Wirth went to another euthanasia unit in north Germany. He was in charge of the administration at this unit and he led the first gassing experiments there using carbon monoxide. While at this unit in Brandenburg, Phillip Bouhler suggested that the gas chambers should be disguised as shower rooms.Wirth joined the Nazi Party in 1931, the SA (Brownshirts) in 1933, the SD in 1937 and the SS in 1939. By the time World War Two started, Wirth was working for the police in Stuggart in a department attached to the Gestapo. In October 1939, Wirth held the rank of SS-Obersturmfűhrer and he was sent to the Grafeneck psychiatric clinic which was part of the Nazi’s euthanasia programme. Wirth met Josef Oberhauser there who was to become his adjutant at Belzec. Also at Grafeneck was Kurt Franz who became one of the camp commanders at Treblinka. In mid-1940, Wirth was appointed as head of the euthanasia programme in Germany and Austria. 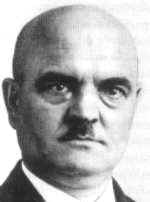 Franz Stangl, the future head of Sobibor and Treblinka, met Wirth at a euthanasia centre at Hartheim. In September 1941, Wirth was sent to Lublin to set up a new euthanasia centre there. However, this project was abandoned. Little is known about what Wirth did between September and December 1941. In Christmas 1941, Wirth went to Belzec to work. He took with him men who he had met during his work in the euthanasia programme. At Belzec, Wirth was known as “Christian the Savage” or the “Savage Christian” by the SS staff there – such was his brutality. He selected some Sonderkommados from the first few trains that arrived at the camp. He introduced a hierarchy into the Sonderkommando with oberkapos and kapos appointed – Jews who had the authority to supervise other Jews. Wirth personally spoke to each train load of Jews that arrived. Such was the tone of his speech, that the Jews waiting on the platform occasionally applauded him as they believed his story that they were only at a transit camp. However, more frequently, the Jews were greeted with great brutality. One SS observer, Lieutenant Kurt Gerstein, stated after the war that Wirth was seen by Gerstein whipping a middle-aged Jew into the gas chambers at Belzec and also whipping a Ukrainian guard across the face for failing to start up the engine that was linked to the gas chambers. A Belzec survivor saw Wirth throwing young Jewish children into a pit and ordering them to be buried alive. Wirth could also be hard on the German SS guards based at Belzec. He believed that they were lazy and ordered them to partake in route marches around the camp which he personally led. Even the SS guards there were taken aback by his brutality. “Wirth was more than brutal. In my opinion, his brutality was grounded more in his human nature than his political mentality. He bellowed, screamed and threatened us, and hit members of the German garrison in the face. There was no-one at Belzec who was not afraid of Wirth.” Werner Dubois, SS guard at Belzec. In June 1942, Wirth disappeared from Belzec and went to Berlin. No-one is quite sure why this happened but it is possible that he was summoned to the capital to discuss his greater involvement in the eradication of the Jews from Poland (known as Action Reinhard). Gottlieb Hering, whom Wirth had known for 20 years, took over Belzec in August 1942. When Wirth re-appeared he was Inspector of SS-Sonderkommandos Action Reinhard. His first task was to re-organise Treblinka which had fallen into a disorganised state. He took on the task with enthusiasm, ensuring that the gas chambers were much enlarged and capable of dealing with the numbers envisaged to arrive at the camp. Once he had finished at Treblinka, Wirth moved to Sobibor and did the same there. In December 1942, Wirth was given charge of the slave labour camps in the Lublin area. He was based at Lublin airfield where clothes and other objects taken from the Jews were sorted out in three hangars at the airfield. Jewish slave labourers worked in nearby factories. Here they were subjected to appalling treatment by Wirth. In the summer of 1943, Wirth was promoted to SS-Sturmbannfűhrer. He transferred to Trieste and set up a small gas chamber in the city with the task of killing the Jews of Trieste. He returned briefly the Lublin to destroy all the slave labour camps in the area, including killing those who were forced to work in them. On May 26th, 1944, Wirth was killed by partisans in street fighting in Yugoslavia.